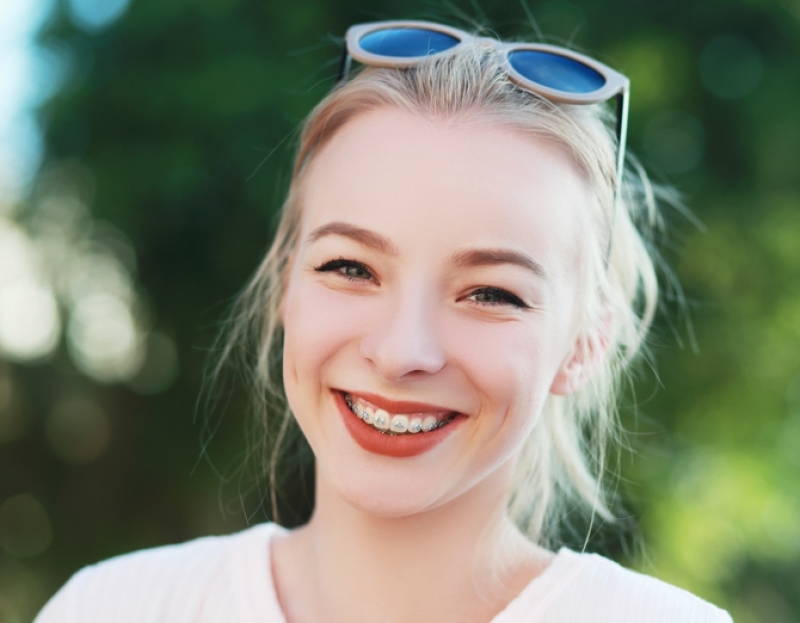 Because of their translucent appearance, ceramic braces are a fantastic choice for a low profile aesthetic, if traditional braces or clear removable aligners aren’t right for you. There are, however, some important factors to consider before you decide to go with this option. How are ceramic braces different from metal braces? Are they really translucent? Regular braces have brackets that are made of metal. Ceramic braces, on the other hand, have brackets that are made of a tooth coloured ceramic material instead, allowing them to blend in better with your teeth. This is what make them appear to be translucent when worn. Ceramic brackets aren’t therefore ‘see-through’ exactly, but they appear to be because they so closely resemble the colour of your teeth. The overall look is much cleaner and more streamlined than regular braces. Are there any downsides to this to this braces option? Ceramic braces will straighten your teeth in the same way traditional braces do, with one caveat. The ceramic material is not as strong as metal is, so this treatment option may be slightly longer in duration. Your orthodontist won’t be able to apply as much force at one time as he would with metal braces. Another potential negative is that ceramic braces are somewhat more costly than traditional braces are. You can save money on them by only having the ceramic brackets applied to your more visible upper or upper centre teeth, using metal brackets for the rest. That way, you get the best of both worlds! And finally, while the ceramic brackets are tooth coloured and blend in very well with your teeth, they are actually somewhat larger than metal ones are. This is not particularly noticeable, but worth noting nonetheless. If you think translucent braces may be a good choice for you, contact Vancouver Orthodontics today for a consultation.